St Myllin's Parish Church is in the centre of Llanfyllin, a small market town nestled in the round, green, sheep-dotted hills of northern Mid-Wales, close to the English border, but still distinctly Welsh in character. 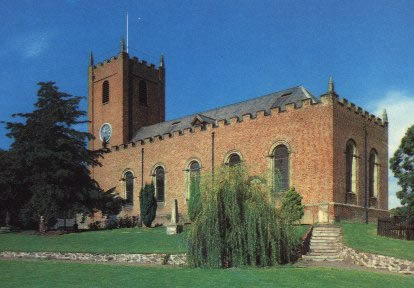 The Church, built of soft red brick, dates from about 1706. Its light interior and delightful stained glass remind one more of High Victorian Romanesque style than of most English churches. The outstanding acoustic qualities of the church make it a near perfect venue for world class chamber music. There is a large car park just beyond the Church, and parking there is free (please check free parking areas and times on arrival).